The core administrative costs of the Secretariat, the Conference of the Parties and its subsidiary bodies, the Standing Committee and the other permanent committees, are financed from the CITES Trust Fund. This Trust Fund is replenished from contributions from the Parties to the Convention based on the United Nations scale of assessment, adjusted to take account of the fact that not all members of the United Nations are Parties to the Convention. The scale of contributions to the Trust Fund for 2014-2016 is shown in Annex 4 to Resolution Conf. 16.2. The status of contributions to the CITES Trust Fund is shown here. The annual distribution of unpaid contributions of the Parties is shown here. This information is updated on a monthly basis. The status of external contributions to the CITES External Trust Fund is shown here. The European Commission provided funding for an important number of activities, which includes the project for "strengthening the CITES implementation capacity of developing countries" for an amount of EUR 1 million with follow-up funding of EUR 1.5 million (equivalent to a total of USD 3.58 million). For the implementation of CoP15 Decisions, it also provided funds in the amount of EUR 500,000 (equivalent to USD 680,000) along with the United States with a funding in the amount of USD 320,000. Other major donors were Denmark, France, Germany, Hong Kong SAR (China), Japan, Norway, Qatar, Sweden, and the United Kingdom of Great Britain and Northern Ireland. These countries continue to provide funding for capacity building, science-related activities, national legislation, enforcement, the sponsored delegates project and the MIKE programme. 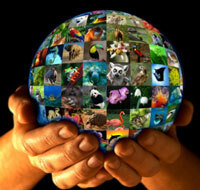 CITES celebrated the 35th anniversary of its entry into force in July 2010. To mark this occasion, Switzerland provided funding for an official reception which was held at the Museum of Natural History in Geneva. It also provided funds to the Secretariat for the purchase of video-conferencing equipment which has been installed in the newly converted conference room within the existing office space. This has enabled Geneva staff to communicate more effectively with MIKE staff in Nairobi, to participate in many meetings via video conferencing, to save on travel costs, and to reduce the carbon footprint of the Secretariat. The United States provided funds to the Secretariat for the acquisition of new portable computers for every staff member. This came at an opportune time because of the urgent need to replace older computer workstations originally acquired with funds from the Swiss Government in 2003.